← Renovate, Modernise and Restore. As a sole trader or small company, you may, like me have had to prepare your own quotations, tenders or estimates whilst trying to second guess the competitors. I have recently discovered that abandoning the idea of the ‘second-guess’ tactic is a much easier process. 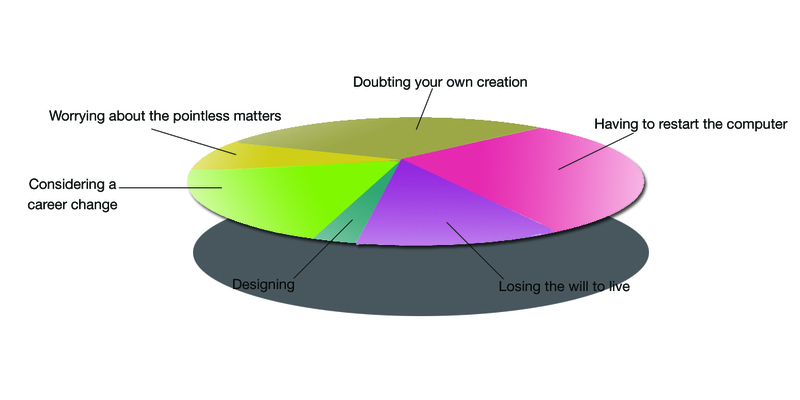 Knowing what percentages architects or fellow designers are working to is too consuming. How do you value your service? As a professional Interior Designer, I know the worth of the service I offer. I know how hard I work on a project, I know I give 110% to a project and I can offer my client and the design team my experience. This comes at a cost. Within my tender proposals I indicate, clearly the services I offer, the work that will be carried out for the tender sum. I should really add that I will no doubt give them so many added extras, but this is for the client to recognise and acknowledge once I have won the project. Pricing the services of a Designer is easily evaluated on time spent. Should you have experience on similar type projects then reflecting on the timesheets you used on the job, will give you a good indication of the time spent. A rough Pie chart to demonstrate the proportion of time allocate. ££ per hour x 100hrs over a 8 week period. Using an hourly rate method and calculating the time estimated can give a clear indication of a fixed fee or ESTIMATED fixed fee. Every client is different, some require revision, after revision. Some approve and sign off drawings in a speedy manner. Remember to stipulate your terms and conditions. If your fixed fee is for a number of hours allocated over a certain amount of time, or up to a specific stage i.e Planning, Design Stage, Tender Stage be clear and reiterate that should this time be exceeded then you will notify the client that this is the case. Producing a detailed breakdown, regardless whether it has been asked for can give show the client your added value. Personally, I produce a programme of works/resources with the task and time required to carry out that task. Designing, 3D models, researching all takes time. We may make it look easy but it isn’t and if, like me you have experienced the excruciating pain of 3D renders and animations, you know the time allocated will be double that due to technology and personal perfection and pride! If the tender has been unsuccessful, don’t be afraid to enquire for feedback. You may or may not receive a response. But it’s all a learning curve for next time. This entry was posted in architecture, interiordesign, Professional services, Sole trader, Tendering and tagged 10 tips, architecture, Business Link, fees, interior designer, Losing, professional services, tendering, Winning. Bookmark the permalink. 2 Responses to Producing the Winning Tender? I agree, you have to try not to think about what others might be charging and just think about what’s a good price for you. Another aspect I think designers often consider is how much they want the job – if it’s a really interesting or prestigious project we might be prepared to do it for a lower price and if it’s something we don’t fancy we might put the price up a bit.